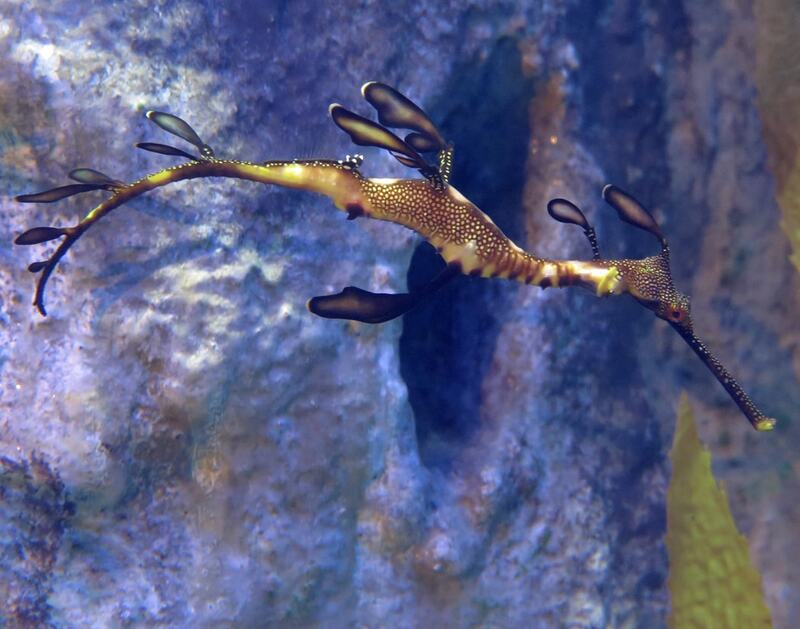 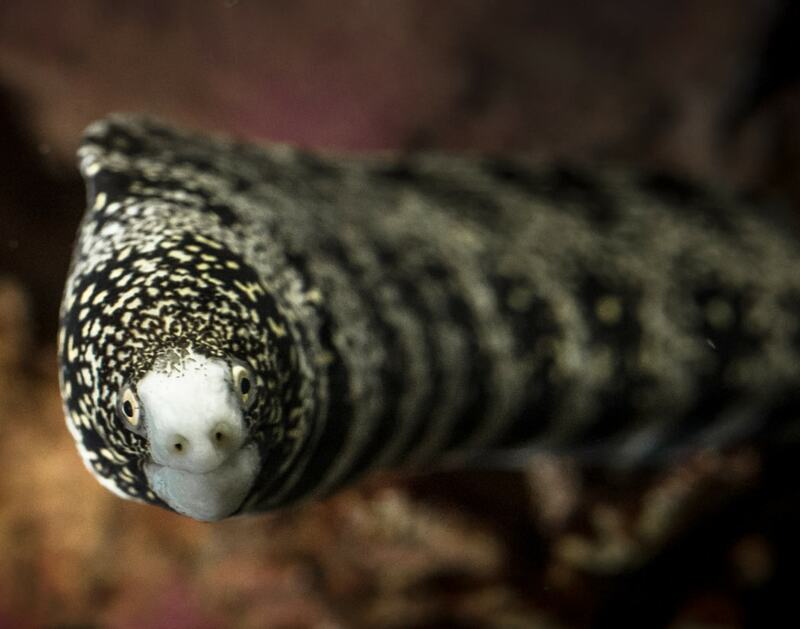 You’ll feel the industrious vibe instantly as you encounter our first saltwater gallery where fish from exotic regions like Indonesia, Fiji and Hawaii hang out. 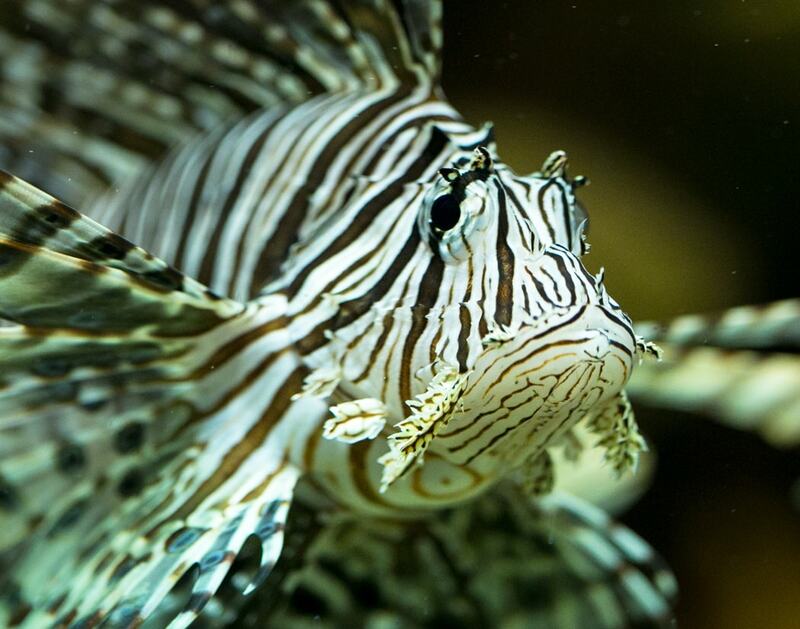 The king of the jungle here is the venomous lionfish; its red and white zebra-like stripes and long pectoral fins stand as its own personal warning system. 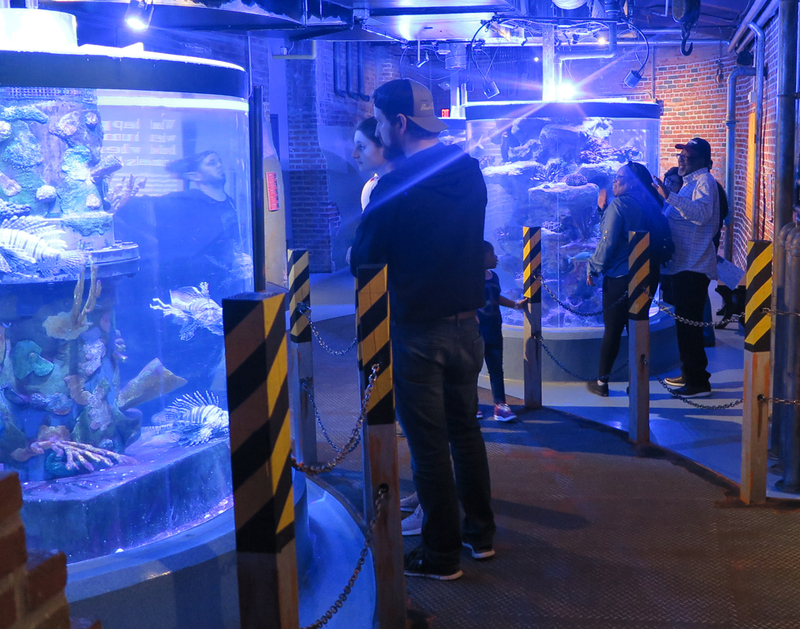 Learn about the history of the Powerhouse and how it has been repurposed throughout the years and even play hide-and-seek with our snowflake eels as they dodge in and out of their rock tunnels.